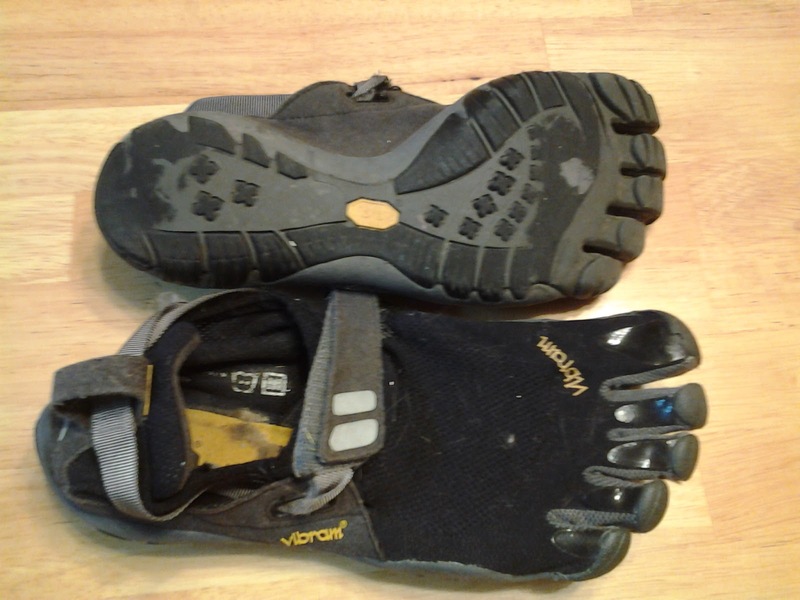 About a month ago, I across several of my feeds that Vibrams had recently settled a big lawsuit. Now, we all know here that I'm a big Vibrams fan. They are a shoe for all seasons as far as I see it. So when I found out that they had settled a lawsuit, I was pretty surprised, initially. Not giving them up any time soon! They lawsuit did not have to do with injuries incurred by the users but by the health claims associated with Vibrams. They claimed things about their product that were not scientifically proven and someone called them on it Fair enough--no company should falsely represent itself in such a manner. However, I noticed that a good amount of people have used the loss to gloat, laugh at, or validate their belief that Vibrams are bad. I get why they have done so but of course, as someone who has made a fundamental lifestyle change (that is, became a runner) that was a direct result of Vibrams, I feel I need to speak to what the lawsuit does and doesn't represent for me. Vibrams settled and therefore, did not lose the lawsuit. There is a distinction worth noting here. They are not guilty but recognize the overstretching of their claims. This translates into they cannot prove their claims as of yet but that's not to say the claims won't eventually ring true. There has been limited research on this topic and with mixed information. Group 1: Do nothing--not even run (essentially, your control group). Group 3: People who already run with Vibrams (and continue to do so; a control Vibram group). Group 4: People who take up running with regular shoes. Group 5: People who take up running with Vibram shoes. Group 6: People who switch from regular shoes to Vibram shoes. Group 7: People who switch from Vibrams shoes to regular shoes. As someone who did not run at all and first started running with Vibrams, I know my experience is likely to be profoundly different than the person who makes the switch from running with regular shoes to Vibrams and I think this is where researchers explore for more clearer results. Unfortunately, I think some will take the lawsuit as shorthand for the idea that the shoes are dangerous or injury-inducing and therefore, avoid them or encourage others to avoid them. That being said, if you have invested in a pair of Vibrams as a direct result of my encouragement or it was one of the things that influenced you, feel free to get your refund from the settlement at this website. The form is easy to fill out especially if you've bought only one or two pairs. I will continue to run and purchase Vibrams as I have had amazing success with them and believe they are a useful shoe (when used correctly).